After founding the "Studentenhaus Göttingen e.V." In December 1921, the former self-help organisation, which wanted to alleviate the social and economic hardship of students after the First World War, has become a modern service enterprise. 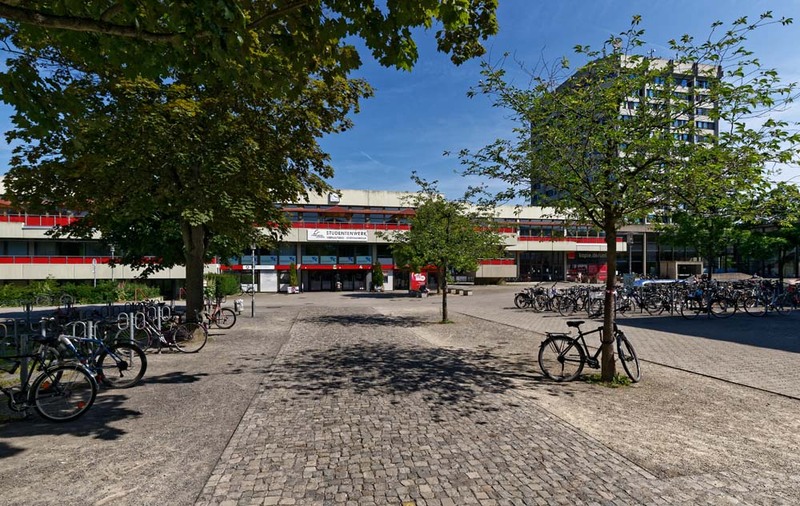 According to the Lower Saxony Higher Education Act (NHG), the Studentenwerk has the task of helping the students of Göttingen economically, socially and culturally. The Studentenwerk has around 400 staff members. The Studentenwerk is a "Wohnungsgesellschaft (housing association)" and a "Gastronomiegigant (gastronomy giant)" in one, it maintains four canteens, in which more than 2 million meals are prepared and distributed annually, ten cafeterias and 41 dormitories with about 4,500 dormitory rooms. The assistance for the students is not limited to the classical areas of housing, campus gastronomy and BAföG: Further subject areas provide support for students: the day nurseries, the social service, the psychosocial counselling centre and the cultural office. The tasks of the Studentenwerk are financed by about 73% of own income. The share of the state of Lower Saxony is 19%. The students contribute 8% to the financing of the Studentenwerk with their semester fees. Despite its legal independence, the Studentenwerk is closely linked to the university. Its committees - the board and the foundation board - are predominantly staffed with professors and students.